EA has announced that the FIFA 13 demo has been downloaded almost 2m times, just three days after it was launched. The game, which will be officially launched next week, was downloaded and played by an enormous 1.99m PlayStation 3 and Xbox 360 users in 73 countries – that's a 29 per cent increase compared to the first three days after the FIFA 12 demo launch last year. It's certainly proving popular; even T3 gave it a good score in our FIFA 13 review. 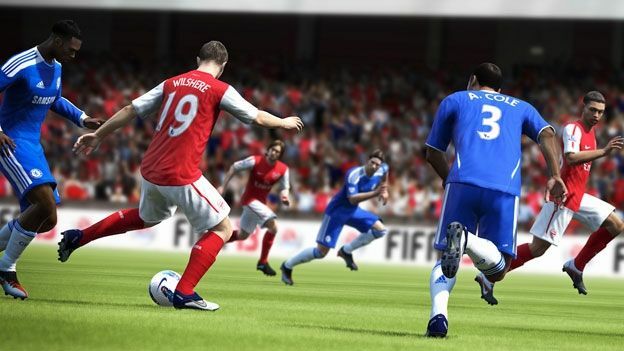 Despite not being released yet, the game has already received a 91/100 rating by GamesMaster Magazine, and earlier this year, the E3 Game Critics chose FIFA 13 as Best Sports Game for 2012. European gamers will be able to grab their copy from September 28.